Welcome to the Learning Gardens of Chadwick Arboretum – an outdoor laboratory for teaching and research. Our mission is to provide an extensive and diverse collection of plants for education, research, and enjoyment for all who visit. The variety of plant material found in the gardens provides a wonderful outdoor lab for our horticulture, landscape architecture, entomology, and plant pathology students as well as a beautiful respite for our visitors. Our hope is that it will be a place to rest, reflect and find inspiration for your own gardens. 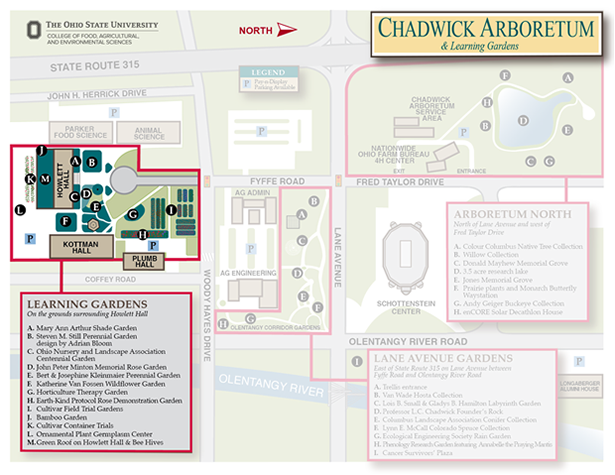 The Learning Gardens are located south of Woody Hayes Drive as Fyffe Road circles in front of Howlett Hall. Visit one of the Pay-by-Plate (or Pay-N-Display) parking machines to park. The curving bed south of the gazebo is one of the oldest beds in the Learning Gardens. 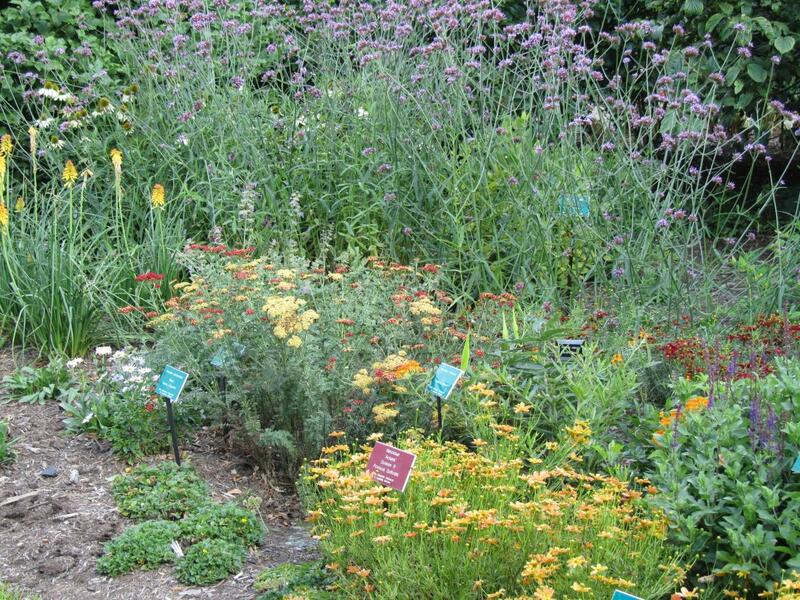 Extensively revamped in the late 1990’s, the garden features a color scheme of blue, purple, and pink-flowering perennials combined with gray foliage plants. The above map shows the location of each garden. Click on the garden below or the circled letter on the map to visit the specific garden page.